Mikumi National Park is a grassland plateau studded with trees and surrounded by mountains. There are vast herds of impala and wildebeest (and lots of tsetse flies). 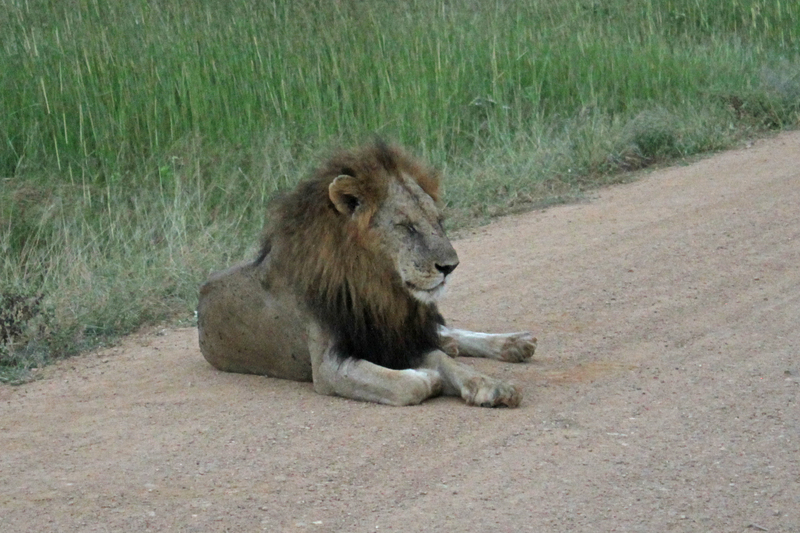 Having seen lionesses the previous evening, we were keen to see more lions but did not expect to find a male lion sitting on the road very soon after we entered the park. 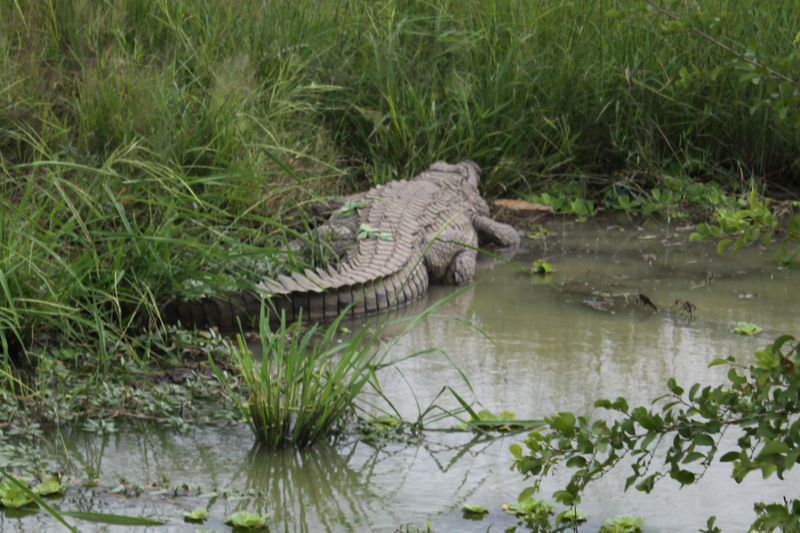 There were Cape Buffalo, water buck, jackals, more hippos, crocodiles and mongooses. Maribou storks were feeding among the impalas and we also saw a number of ground hornbills and heard their curious calls. Bright red bishop birds flitted among the bushes and trees. After leaving the park and heading back to the hotel along the road that bisects it, we wondered why a van was parked by the side of the road. 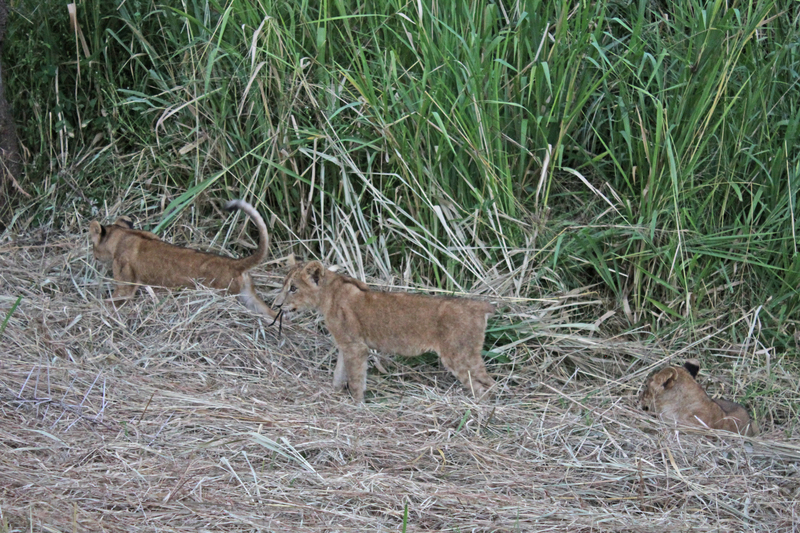 James glanced at it as we passed and shouted ‘lion cubs!’. There were four, about 3-4 months old with no mother in sight, playing on the grass verge. In the late afternoon we did another circuit and spotted a large number of birds. I will be checking my list against the Tanzania Bird Atlas in case I can add a location for any birds that they are monitoring. Spent the evening packing up for our return to Dar the next morning.